While those of us in the UK may be shuddering at the thought of a maximum temperature of a few degrees, turning up the heating, wrapping up warm and hoping all those snow shovels at garages and supermarkets are just attempts to scare us into parting with more cash, one of our drivers is revelling in the icy conditions of his homeland. Indeed, a daytime high of four or five degrees might even seem mild for Formula Renault Eurocup driver Mikko Pakari and his family and while we may be guilty of neglecting our gardens over the winter months, the Pakaris make full use of their lake and Finland’s rather chilly climate as they take part in a traditional Finnish sport, perfect for the adrenaline junkie – ice racing. 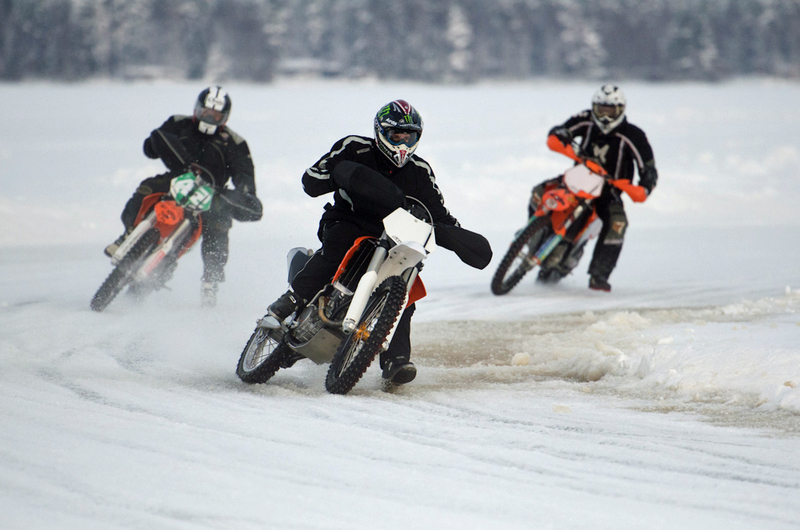 The Finns are renowned for their love of racing and rallying on ice and ice racing forms an important part of Pakari’s winter training programme. For Mikko, it is the perfect way to stay fit and have fun, while spending time with his family (his father was also a keen racer) ahead of a jam-packed season in Europe. Ice racing is not only extremely physically demanding, but it adds another element of unpredictability, which then necessitates finely tuned reactions and excellent driver/rider awareness; all of these elements are crucial for a racing driver as they are required to make split second decisions and react instantly to events out on track, while the G-forces they encounter and the speeds that they reach demand drivers to be at the peak of their physical fitness. It’s also important for drivers to pursue a fitness programme that they can gain some enjoyment from and this seems like a perfect way to do that! As temperatures are set to stay below freezing for a few months yet, there’s plenty of time for Mikko to enjoy himself out on the ice, while also preparing for the step up to racing cars in 2012. Looks like great fun, doesn’t it? !